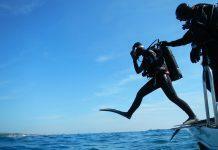 Home Blog Medical Scuba Diver Medical Q&A: Can you dive after using Sudafed? Dr Oliver Firth helps two readers out with their scuba diving queries - Can you can dive after using sudafed? And are you safe to dive if you have sickle cell trait? Q: I have just returned from a trip to Mexico, where one of our group had some sinus congestion at the beginning of the trip. They used Sudafed on the first day, and all was well, but when this was mentioned in conversation at the dive centre they (the dive centre staff) stated that under no circumstances whatsoever should Sudafed be used before diving. I have noted on several occasions you mention the use of Sudafed; what do you think the Mexicans were so worried about? A: A very common question. I thought I ought to deal with this once and for all, as Sudafed and the like are so often used and talked about. The active ingredient in Sudafed is something called pseudoephedrine. Its therapeutic effect occurs by stimulating receptors on the muscles of blood vessel walls, causing them to constrict. This means that the vessels leak less fluid, and so congestion in the sinuses and nasal passages is in theory reduced. All well and good, but as with most drugs the effects are not limited to the airways alone – the same receptors being stimulated elsewhere can cause the heart to race, blood pressure to rise, and generate anxiety, excitability and insomnia. Generally this would only occur with consumption of elephantine quantities, but nevertheless these side effects are what lead to its use being discouraged. As far as diving with Sudafed goes, the usual caveats apply – there has been little rigorous scientific research on it and so many of the recommendations are based on anecdotal case reports and extrapolation. Some research suggested that sympathomimetics (the class of drug to which Sudafed belongs) can enhance oxygen toxicity. So taking Sudafed and diving on gas mixes with high partial pressures of oxygen is not recommended. Q: I want to try diving but when I was pregnant last year I was diagnosed with sickle cell trait. My doctor doesn’t know whether it’s safe for me to dive, and I’ve heard about sickle cell disease and I’m not sure what the difference is. Can you clear up my confusion? A: Let’s do a basic biology lesson first. Red blood cells have evolved a particular shape to help them flow easily through blood vessels, the so-called ‘bi-concave disc’. Imagine two Frisbees opposite each other and squashed in the middle. Or a doughnut with a thin flat piece filling the hole. In sickle-cell disease, an abnormal form of haemoglobin (HbS) means that the red cells become distorted into a sickle shape. These get stuck in blood vessels, cutting off blood supply to tissues further on, which leads to organ damage and painful ‘crises’, which can be completely incapacitating. It is genetically inherited: if both genes code for HbS, then a person will develop sickle cell disease, but if only one HbS gene is inherited (and the other gene is normal HbA), then you have sickle cell trait. Those with trait only don’t develop the full-blown disease, but are carriers. Unfortunately, if you have sickle cell disease, diving is out. The increased risks of DCI are too great. For those with the trait, some authorities cite evidence that low oxygen levels can trigger sickling and crises, but others quite reasonably point out that in these conditions, drowning would be more of a worry. I tend to agree with this last point. Those with trait are unlikely to develop any dive-related problems under normal conditions. Next articleDiving Indonesia’s Macro & Megafauna – Which is Best?